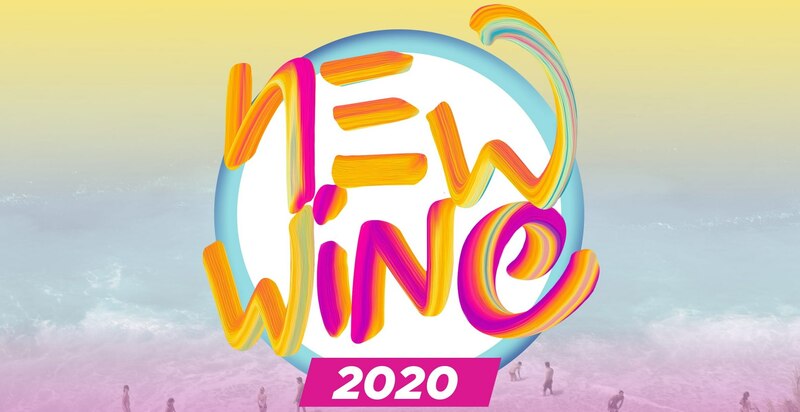 It's great you're coming to the New Wine summer festival. This registration will collect details about your household before asking for details about you as the household contact for this booking. You'll then add in other individuals as necessary, before answering a few further questions about your household. Please note that only people from the same address can be registered on this form. If you wish to register people from different physical addresses please complete a second form. If you don't have one, write "N/A"
Please select... Preschool (0-4 year olds) Kids Zone (School years 1-6 in 2020) Cutting Edge (School years 7-9 in 2020) Firewire (School years 10-13 in 2020) Meeting Place (18+) If helping on a zone team select this as the zone programme you will be in. Are you coming full time? When will you be attending? State the day(s), and whether they're full days, mornings or afternoon/evenings. Will you be staying onsite? The following questions are for children who will be aged 10 or younger, including preschoolers. It contains information specifically for the children's programmes. Is one of these parent/guardians attending the festival? Whose care is this child under at the festival? New Wine's policy is that all children under the age of 7 years must be picked up by either the parent, caregiver or nominated person at the end of each session. Other than the parent/guardian or nominated carer who else may collect this child at the end of the session? Do you wish your child to leave at the end of the session unsupervised? Other than the parent/guardian or nominated carer who else may collect your 7 or 8 year old at the end of the session? Does your child wear nappies or trainers? May a New Wine team member change your child's nappy/trainer? Please note any special dietary requirements. Please note allergies, medical conditions and associated medication. Please note any behavioural issues. Please note any further information New Wine should know about this child. There will be official photographers on site. Children may feature in photos which will be used for our website and publications. If you do not want photographs of this child to be published, you must submit a letter to the New Wine office stating this and a recent photograph of the child. Do you withhold permission for this child's photographs to be published? By typing my name below I acknowledge that I give consent for my child to attend New Wine 2019. I give the nominated caregiver and New Wine permission to approve medical services if required. Team serving on or applying for? Are you the person applying to be on team? Thanks for applying to help on a team. People involved on teams at New Wine events carry considerable responsibility. New Wine needs to ensure that those engaged in ministry are appropriately gifted and experienced, are willing to accept training, and will follow the guidelines set out for this ministry. Give details of any experience you have relevant to the team you're applying for. Include brief details of the groups and activities you belong to in your church. Is there any medical condition, relevant information or limitation that may affect your ability to fully participate as a volunteer? To the best of your knowledge, have the Police ever suspected you of committing any offence? Have you printed a Police Vetting form? Have you printed a Criminal Conviction Record form? I declare that the information contained in this application is true and correct. I have read the New Wine NZ Policy Document and agree to abide by its policies, procedures and guidelines. If you're under 18 years old this declaration needs to also be signed by your parent or caregiver. Are you eligible for a team discount? Are you coming from the South Island and think you might be eligible for a South Island discount? You've said you're staying onsite. Awesome! Let us know what you're bringing. Which group or church is the communal gazebo for? Getting to New Wine is financially difficult for some. Christians share the burdens of others, including financial ones. Grace Box is New Wine’s mechanism for you to give or receive financial support. If you would like to put money into the Grace Box, or even donate back your earlybird discount, add it below (a donation receipt will be issued at financial year end). If you need assistance, request it below and complete an online subsidy application form here or print and post a paper copy of the form from here. We don't like getting all formal but there are some booking terms and conditions you need to be aware of.